Under the motto “Good knives are handmade”, Robert Herder manufactures a wide range of quality knives using traditional forms and methods. 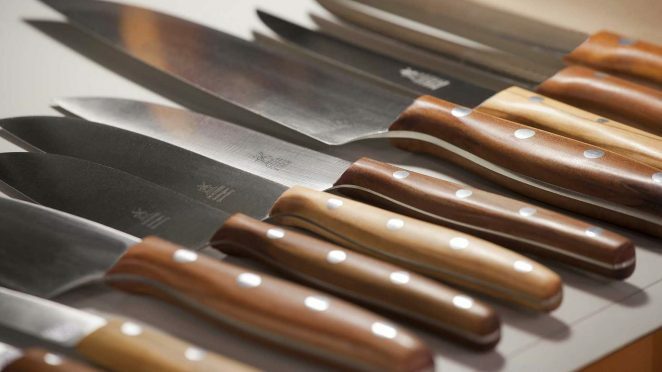 Since 1872, the well-known mill knives are made in Solingen, Germany. Robert Herder uses the principle of “Solinger Thin Grinding”. The blade is thinner than usual and in contrast to factory-cut knives, is turned very high. The result is a thin and therefore extremely sharp cut. Thanks to this eye for quality and classic design, Robert Herder knives are still very much appreciated and appreciated.